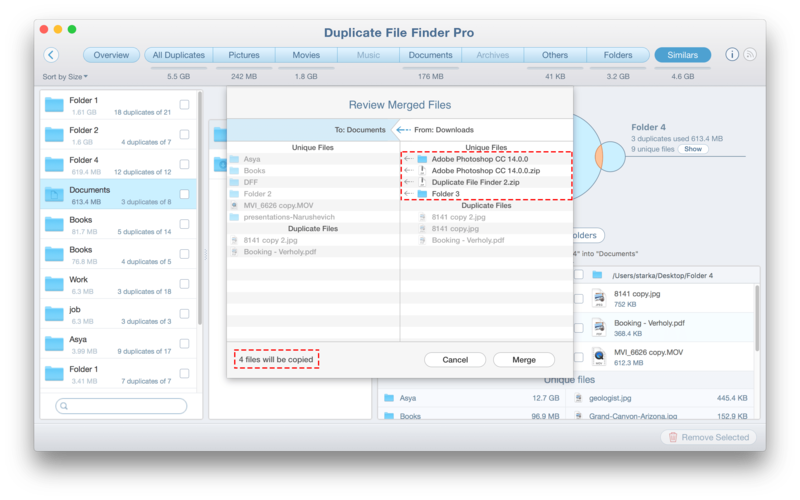 Duplicate File Finder allows you to merge Similar Folders. This option would be helpful for you if you need to quickly organize your files and folders that have some duplicates and some unique items. 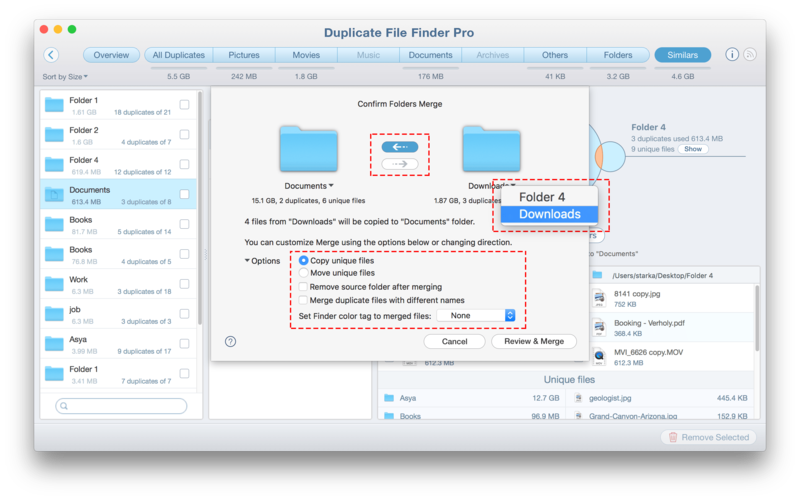 When you merge folders, the application moves or copies unique files from one folder to another, and it can also merge duplicates with different names. 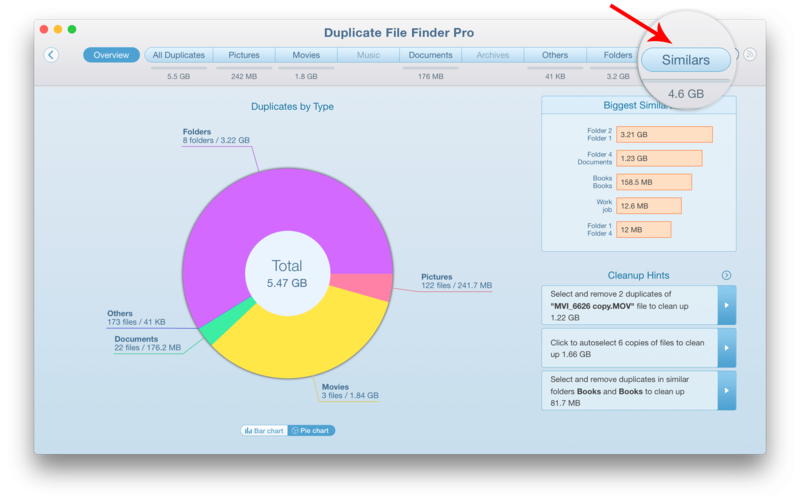 Scan your folders or disks and switch to the Similars Panel. Click the Merge Folders button. In the Review window, you will see which files are going to be copied/moved. There are arrows next to each one. In our case, we have 2 unique files to be copied. To complete the task, click the Merge button. If you still have questions, read the article “How to Merge Similar folders with Duplicate File Finder” or drop us a line at [email protected]. We are here to help you.